Will Integrative Medicine Be Driven Out of Washington State? The evidence seems clear that the Washington State Medical Board is trying to do just that! This has been going on for nearly two decades, but has intensified lately. Government licenses are not meant to be used to enforce monopolies. Restraint of trade is against the law. It is time to call the Washington state board to account for its illegal targeting. In May we told you about Washington state’s ongoing attacks on natural health pioneer and integrative physician Jonathan Wright, MD. You may recall that Dr. Wright’s Tahoma Clinic had hired a medical doctor who’d been licensed in another state, under the condition that he apply for a Washington medical license. He did so, and the doctor’s Washington license was listed as “pending” on the state’s Medical Quality Assurance Commission (MQAC) website. During this period, Dr. Wright followed the legal advice he had received and monitored him closely as required by Washington law. Suddenly, MQAC charged Dr. Wright with “aiding and abetting the unlicensed practice of medicine” because the doctor’s out-of-state license had been revoked! At the initial hearing, at least four MQAC staff members admitted that they knew from the beginning that the doctor’s out-of-state license had been revoked and that he could therefore not be licensed in Washington, but they never put that information on the MQAC website (which continued to describe the physician’s Washington license as “pending”) or told Dr. Wright about it. Yet MQAC charged Dr. Wright with “aiding and abetting the unlicensed practice of medicine.” This seems to be the very definition of malicious prosecution. When MQAQ handed down its decision, Dr. Wright was found guilty of an infraction he hadn’t even been charged with at the hearing: failure to follow a statute governing the practice of an out-of-state doctor whose license is pending. The statute says the out-of-state doctor must not solicit or take on patients in his own name, and must not open his own office—provisions Dr. Wright followed to the letter. So he was sanctioned for a charge they didn’t make in the first place, and of which he is demonstrably innocent. In its decision, MQAC suspended Dr. Wright’s license for ninety days (ending mid-September), after which he will be on probation for thirty months. Taking away a license on a charge that wasn’t even addressed in the hearing would seem to us to be a clear violation of the Fourth Amendment of the Constitution, not to mention an act of defamation. In addition, Dr. Wright must pay a steep fine; appear before MQAC annually to report on any new NDs or MDs his clinic has hired; and submit a paper to the Commission describing the importance of proper licensure. This last requirement may seem like nothing more than an insulting joke, because it was MQAC itself that concealed the fact that the applicant’s license had been revoked in another state! In fact, it’s much more than that. Forcing him to write an essay and tell MQAC what they want to hear is, it seems to us, a violation of Dr. Wright’s constitutionally protected freedom of speech. Dr. Wright’s appeal is expected to be heard in December, but the judge hearing the case denied him a stay of the license suspension, so that he currently cannot practice. This is not even the first time that Dr. Wright has been targeted by MQAC. He has been repeatedly harassed. The last episode before this one involved MQAC charging that his phone system was not responsive to patients, a charge that was a complete fabrication and which was eventually dropped after considerable legal expense. MD 1: Investigated by MQAC for making a diagnosis of mercury toxicity in a teenager whose symptoms matched those listed for mercury toxicity in a standard toxicology textbook. Lab tests confirmed the diagnosis. (The teenager had been eating large quantities of canned tuna.) The case closed by MQAC after the doctor spent a large sum in legal defense fees. MD 2: MD 1 referred the above mercury toxicity patient to MD 2 for treatment. The patient and her parents insisted that no harm had been done, and that her health had significantly improved after MD 2’s treatment, yet MD 1 was found to be at fault for not referring the patient to enough specialists (even though she had previously seen three, including two neurologists, prior to seeing MD 2, and MD 2 had referred her to three more, for a total of six)! MD 2 was also found to be at fault for agreeing with MD 1’s diagnosis of mercury toxicity. The “expert” upon whom MQAC relied during the disciplinary proceedings had not practiced medicine in seven years, and admitted when questioned that he had miscalculated by a hundredfold the dose of the treatment material in an IV given by MD 2. MD 3: In the only case stemming from a patient report, a patient allegedly complained about a holistic medicine procedure (known to be harmless) which MD 3 discussed but did not use with the patient. MD 3 was also charged with diagnosing lead toxicity based on blood, urine, and hair specimens. MQAC charges included violations of interstate and intrastate commerce, unprofessional conduct and, believe it or not, “moral turpitude”! Even though MQAC found that no harm was done, and even though the complaining patient testified that he was not harmed, MQAC suspended MD 3’s medical license for five years, staying the suspension on condition that he use only MQAC-approved techniques from now on, that every three months he submit a signed affidavit that he isn’t using the technique he personally judged best, and that he meet with MQAC and be interrogated every six months in a town over three hours away. His legal costs so far have been over $250,000. MD 4: MQAC’s investigation concerned his use of intravenously administered vitamins and minerals. MQAC demanded to know if he had diagnosed vitamin and mineral deficiency before giving such IVs—even though less than a year earlier, NIH researchers found that high-dose IV vitamin C might kill cancer cells but did so without diagnosing scurvy (vitamin C deficiency)! In fact, of the sixteen physicians who use use IV nutritional therapy in Washington, eleven have been charged by MQAC. MD 5: Investigated by MQAC for “off-label” prescriptions of human growth hormone (HGH)—a natural substance and an FDA-approved medication—to four patients. “Off-label” prescribing of medications is 100% legal, FDA-recognized, and done by every licensed physician in the US. Even though it was prescribed for a specific medical condition, all patients reported improved health, there was informed consent, and none of the patients reported any harm, MQAC suspended his license for three years and fined him $5,000. MD 6: Another integrative doctor targeted for prescribing HGH; MQAC decided that there was not enough medical justification (as defined by MQAC) that the patient required HGH. He was placed on probation for five years, has to undergo a two-day ethics course and submit semi-annual practice reviews, and was fined $10,000. In evaluating the treatment of MDs 5 and 6, consider the board’s treatment of another doctor, whom we will call MD X, not an integrative doctor but rather one practicing conventionally. MD X also prescribed HGH off-label, as did MD 5. However, he prescribed it for a family member (his stepson) without any recordkeeping—and did so not to treat an illness but rather to help his stepson grow taller, even though his stepson was 5’9” tall and weighed 152 pounds, normal for a young person his age. Under Washington law, HGH can only be used for the treatment of a disease or medical condition. MD X’s penalty? Nothing more than a reprimand and a $5,000 fine. In fact, five of the six charges against him were dropped because there were “mitigating circumstances:” no actual harm to the patient! This is not a leniency MQAC gives integrative physicians, or each of the doctors mentioned above would have had their charges dropped, too! MQAC charged two other conventional doctors for prescribing HGH, and they too got off much lighter than their integrative counterparts. One was placed on two years’ probation and fined $3,000; the other was placed on four years’ probation and fined $8,000. Neither one had their license suspended or was required to submit a performance review. There is a lot more to be told here: other unfair and malicious charges against integrative doctors, as well as leniency toward or no charges against conventional doctors with actual patient complaints of harm. Take, for example, the case of one Washington patient whose conventional physician mis-prescribed a drug contraindicated for the patient’s condition. The patient died, but MQAC refused to investigate, much less charge the doctor. There have also been numerous complaints of sexual misconduct. In 2006 the Seattle Times found that in the previous decade, state regulators dismissed almost a third of all sexual-misconduct complaints without any investigation. Even when charges were investigated and found valid, there were no consistent guidelines for discipline, and sexual misconduct was treated as a medical error or routinely dismissed and forgiven. In short, there is a clear pattern of bias by MQAC against integrative doctors in Washington State. This seems to us to be a clear case of the discriminatory application of Washington’s laws in order to drive integrative physicians out and protect conventional medicine’s treatment monopoly. This situation is all too typical. The state has limitless legal resources. Physicians usually are not rich. So just the threat of legal action is often enough to create a climate of intimidation in the medical community. Also consider that a physician has invested so many years and so much money in his medical degree or license, but may lose it just by getting on the wrong side of the all-powerful medical board. 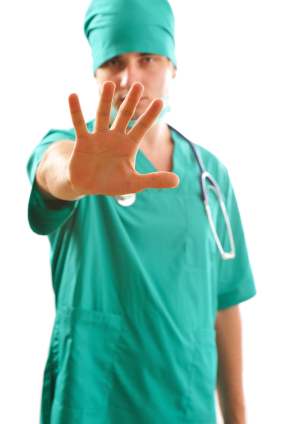 Many integrative doctors, faced with outrageous legal bills and fines because of MQAC’s baseless attacks, agree to make everything go away by signing consent decrees with often draconian and humiliating provisions. Some legal experts feel these consent decrees violate the restraint of trade doctrine, which relates to the enforceability of contractual restrictions on the freedom to conduct business. One bright spot in all this: the Federal Trade Commission is now scrutinizing some state laws and practices that create anti-competitive behavior by physicians—such as the scope-of-practice restrictions supported by physicians who trying to monopolize their field. In Tennessee, for example, only physicians were able to provide interventional pain management services. The state legislature wrote a bill that eliminated that requirement—and FTC weighed in on the bill, to the consternation of conventional doctors in the state. Happily, the bill passed. Perhaps MQAC should rethink its discriminatory attacks on integrative physicians in Washington State before the FTC investigates MQAC for anti-competitive behavior. Or before a lawsuit is filed to bring this restraint of trade and malicious prosecution out in the open. As you know, Dr. Wright has developed innovative and successful natural therapies utilizing food, supplements, and lifestyle changes for a host of maladies that conventional medicine cannot cure. But his battle against MQAC’s unfounded charges is extraordinarily expensive, and he needs your help. If you have not already done so, please give generously to the Dr. Jonathan Wright Legal Defense Fund.